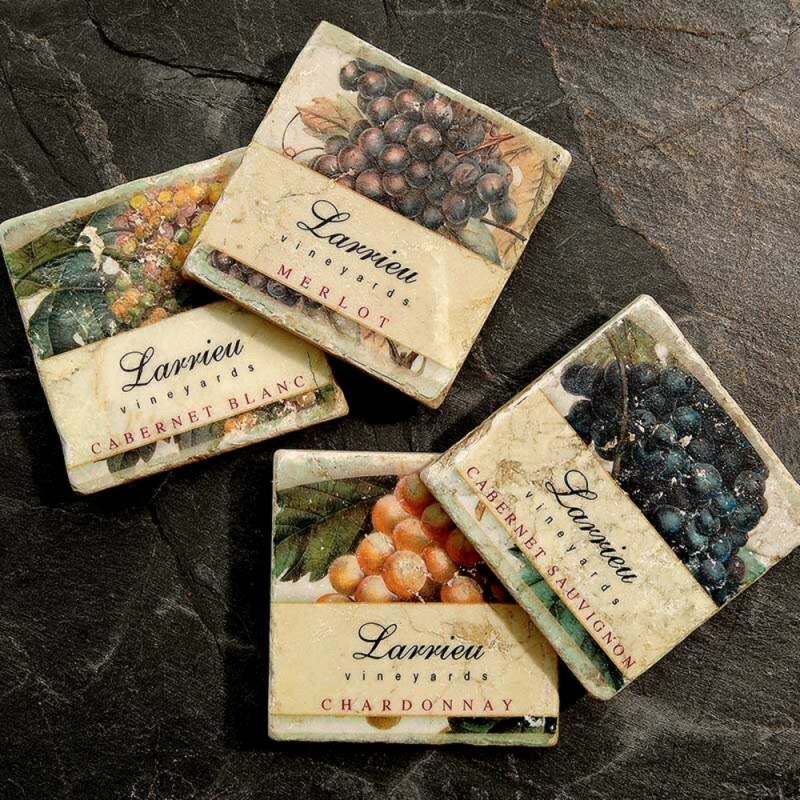 Personalized Grape Marble Coasters (P/N C270 - Grape). Made from Botticino marble quarried in Northern Italy, near Verona, our personalized, tumbled, hand-printed coasters beautifully display your love of wine. Each coaster is cork backed to help protect your furniture from unwanted drips and liquid rings.